The perfect solution for next generation ultra-dense WDM systems. 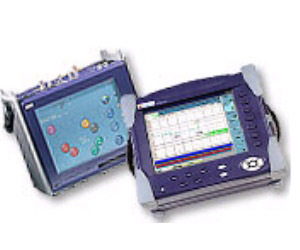 The OSA product line consists of high-precision optical spectrum analyzers designed for dense and coarse WDM applications. They offer improved OSNR ranges and accurate DWDM network measurements with high channel counts and tight channel spacing over the full wavelength range of 1250 to 1650 nm.